In the second and final part of our CBS Library Music Spectacular, returning guest W. David Lichty guides your humble hosts Jens, Yavar, and Clark through a remarkably diverse array of suites spotlighting a large portion of Goldsmith's contribution to the CBS music library. Over the course of this episode, you'll hear playful comedy, moody suspense, lush romance, chilling horror, and lots of other musical goodies. 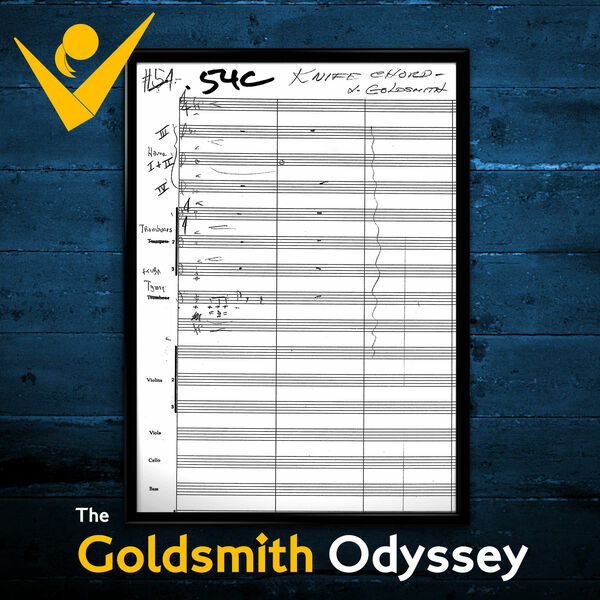 Even if you're a devoted Goldsmith fan, odds are high that the majority of this music will be new to you. Join us as we don our research caps and complete a sojourn into one of the most under-explored corners of Goldsmith's career! To follow along with David's custom suites, please consult this Google Doc for a thorough breakdown. The Work: The Twilight Zone: The Complete Series (at Amazon). Ron Burbella supplied us with his TransWorld 78s (discussed in this Film Score Monthly thread). Martin Grams Jr. wrote The Twilight Zone: Unlocking the Door to a Television Classic. This gave names and running times for all of the tracks used in each episode. Note his excellent coverage in his sample section. Dan Hollis supplied the time locations for all of the cues used in each Twilight Zone episode via his thread at Twilight Zone Cafe -> Twilight Zone, Etc. -> Classic Twilight Zone -> Musical Cues. Bill Wrobel documented the mass of CBS Music Library stuff donated to UCLA, giving us a little more info on the tracks we’ve acquired. Even more helpful info was found in his piece "Television Works of Bernard Herrmann." You can find some of the TransWorld tracks used in the show on his YouTube channel. We also recommend his video on "Autumn Love." Despite being uncredited, Gene Feldman supervised the Twilight Zone scores for all five seasons. Twilight Zone isn’t listed for him on IMDb, but Grams Jr.'s book may explain why, and Bill Wrobel's research seems to confirm that he was CBS’s guy for this process.